The growth in 3-D printing is allowing manufacturers to reduce production time and save money. Metal fabrication shops, industrial firms and engineers are also capitalizing on the technology. But the predicted mass production of 3-D printed products for consumers has not yet come to pass. An article in Chemical & Engineering News (C&EN), the weekly newsmagazine of the American Chemical Society, explains how industry is using the technology. 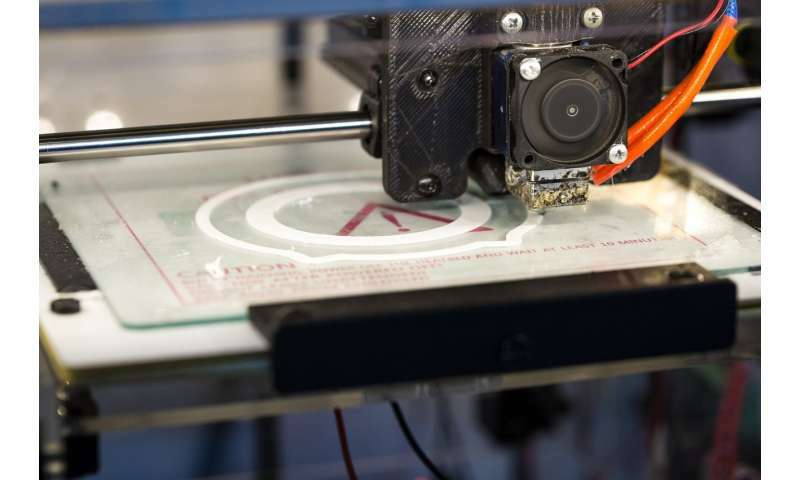 Over the past decade, 3-D printing has been portrayed as the next big manufacturing trend, and companies are now starting to take advantage of the technology. For example, as C&EN Senior Correspondent Alexander Tullo reports, Volkswagen has started using 3-D printers for tools and parts, which has saved the company time and hundreds of thousands of dollars. Others are also getting on board, spurring global sales of 3-D printing equipment and related materials to grow to $2.7 billion last year. But beyond hobbyists and niche industrial and educational uses, how much further the market will expand depends on polymer science to some degree. Polymers are heated and applied in layers during 3-D printing to produce an object. But material flaws and less-than-ideal printing conditions can lead to gaps between layers or shrinkage. Corn-derived polylactic acid addresses these problems but is still too brittle for widespread applications. To search for more robust and versatile materials, scientists are adding modifiers to the polymers and developing new materials that could one day help expand 3-D printing in the industrial market. I just got my first 3d printer and have ordered a second one. This technology is amazing. I see NASA just bought a huge one.